Primary care doctors are subject to twice as many notifications as specialists, researchers found, but both are facing information overload. Primary care doctors now lose more than an hour a day to sorting through approximately 77 electronic health record notifications, researchers at Baylor University found. “Information overload is of concern because new types of notifications and ‘FYI’ (for your information) messages can be easily created in the EHR (vs in a paper-based system),” the researchers wrote in the Journal of the American Medical Association Internal Medicine. Making the workload harder to endure, reading and processing these messages is uncompensated in an environment of reduced reimbursements for office-based care, according to the study. 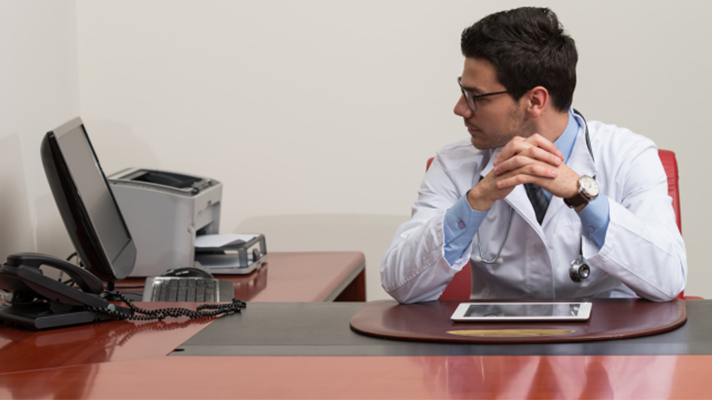 Physicians are receiving these increasing amounts of notifications in EHR-based inboxes such as Epic’s In-Basket and General Electric Centricity’s Documents. The messages include test results, responses to referrals, requests for medication refills, and messages from physicians and other healthcare professionals. What’s more, optimistic predictions that EHRs would improve patient care through better doctor-patient communications have not ubiquitously materialized. “Unfortunately, we are far from this promise and now also grapple with the unintended consequences of EHRs,” Joseph Ross, MD wrote in an editorial accompanying the research. In fact, electronic “paperwork” has burdened doctors and reduced the time for patient care. Ross advocated that inbox notification capabilities be periodically reviewed to be sure EHRs are working in the best interests of patient care and not creating an unnecessary burden on physicians. In addition, doctors should be reimbursed for time spent reviewing EHR notifications.